The global contact lenses market is anticipated to generate revenues more than $13 billion by 2023, growing at a CAGR of over 5% during the forecast period. CHICAGO, IL, UNITED STATES, April 16, 2018 /EINPresswire.com/ -- Arizton’s recent market research report on the contact lenses market provides comprehensive industry analysis, trend forecasts, and competitive analysis. The research study segments the market by usage (daily use, weekly use, and bi-weekly/monthly use contact lenses), by design (spherical contact lens, toric contact lens, and multifocal contact lens), by application (corrective lenses, therapeutic contact lenses, and cosmetic and lifestyle-related lenses), by distribution channel (retail store, hospitals & clinics, and online stores), and by geography (North America, Europe, APAC, Latin America, and MEA). The introduction of lenses with minimal or no risk of adverse effects and no requirement for lens care solutions is boosting the demand for vision care products. The use of innovative technology to offer advanced features that provide best visual acuity and optical comfort will have a positive impact on the market growth. he growing preference for disposability and reduce usage cycles is boosting the market for daily usage lenses. 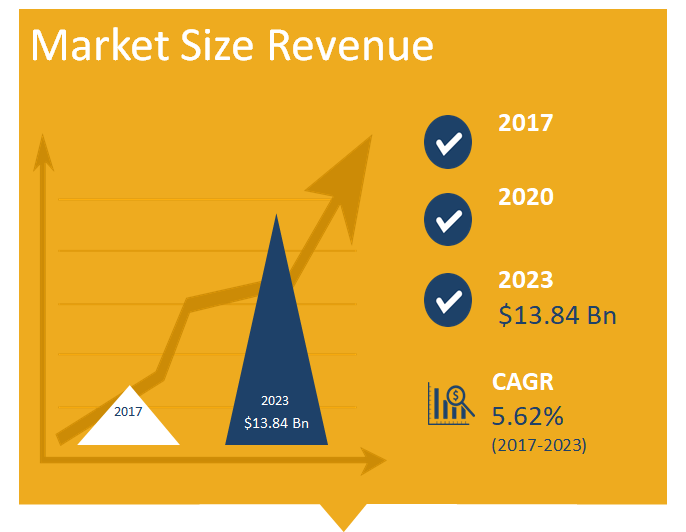 The emerging fashion trends, pollution and varied intensity of usage, attractive price points, and buyback schemes, and launch of new product portfolios with value-added offerings are some of these reasons augmenting the growth of the global contact lenses market. Daily disposables offer the convenience of easy clean-up and no storage. The growing popularity of color variants for different occasions is further boosting the demand for daily or bi-weekly/monthly lenses. Such demand trends will encourage the leading companies to launch innovative product portfolios such as bifocal contact lens or multifocal contact lens to attract new consumers and expand their businesses to new and emerging geographies. The contact lenses market by usage is segmented into daily use contact lenses, weekly use contact lenses, and bi-weekly/monthly use contact lenses. Daily use contact lenses dominated the global market accounting for over 45% of the total market share and is projected to grow at a CAGR of more than 7% during the forecast period. Daily use contact lenses are the healthiest modality in the market that eliminates the chances of eye infection from the lipid deposits and reduces the need for lens care solutions. The leading vendors in the global market are introducing daily use contact lenses with new features such as blink-activated moisture technology, high definition optics, and HydraClear technology. The introduction of such advanced features will create new opportunities for vendors in the global contact lenses market during the forecast period. Looking for more information? Order a sample report before purchase.